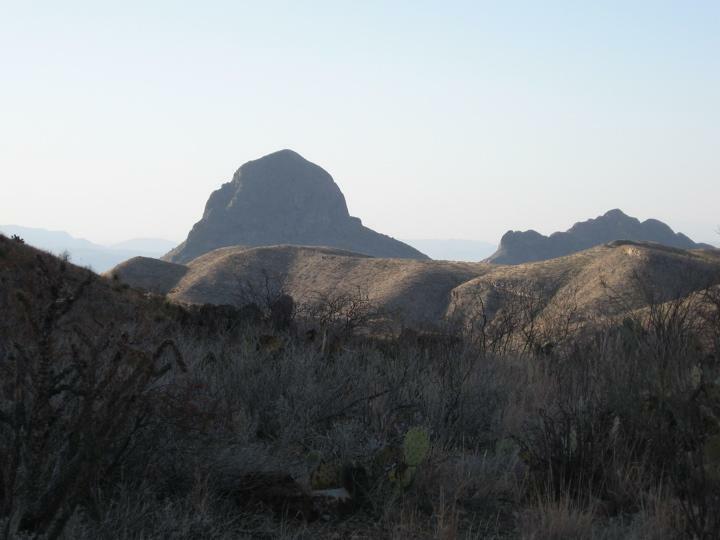 Last fall I started planning an 18-day 4 park backpacking and hiking trip with the initial destination being Big Bend. 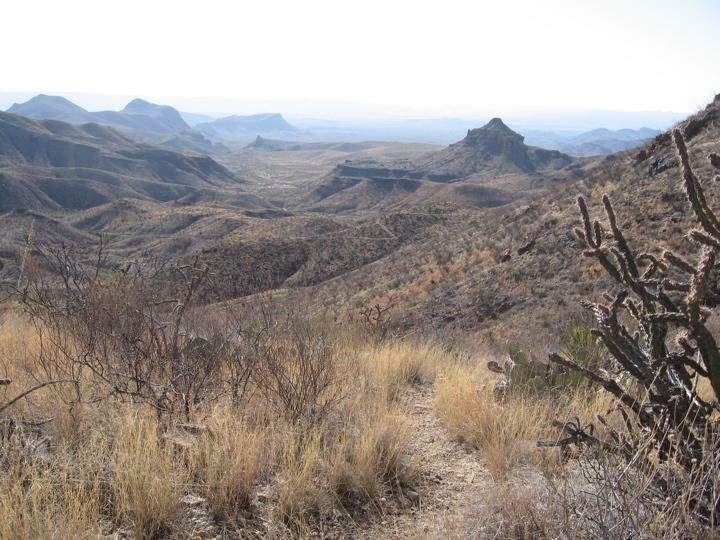 This would be my fourth trip to Big Bend and my first solo backpacking trip. After much research my major concern was the possibilities of high temps while on the Dodson Trail and the lower portions of the Juniper Canyon and Blue Creek Trails. I arrived in the park on Sunday, 28 March and made the first stop the PJ park HQ and talked to one of the rangers. I inquired about the temps and any recent reports of water in Fresno Creek. The reply was that they were still issuing permits and water was reported about 2 weeks ago. 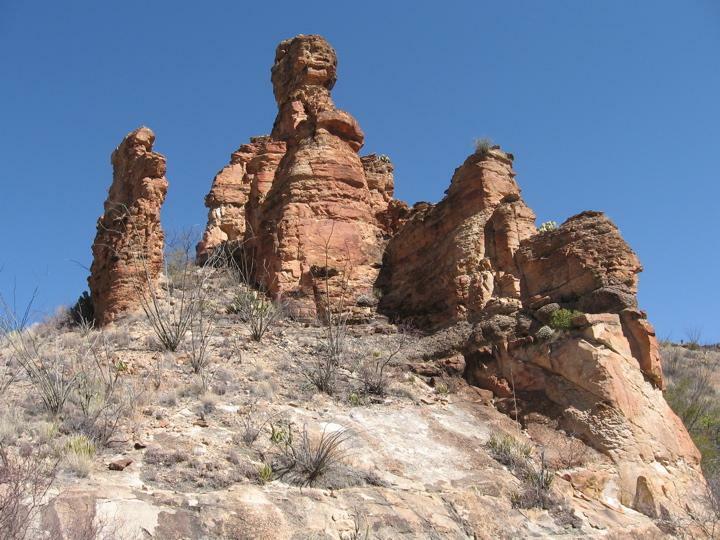 I was encouraged by the report in spite of the forecasted midweek highs of the upper 90’s along the Rio Grande and upper 80’s in the Chisos Mountains. I spent a relaxing Sunday evening in the basin at one of the cabins and on Monday, 29 March I got my permit and cached my water at Homer Wilson Ranch. While there I met a Japanese hiker doing the OML clockwise. He was staring into the open bear box when I arrived with my water and food. After a short conversation we bid each other farewell and best of luck. I usually forget something on each trip to Big Bend and this trip was no exception. I manage to forget my hiking shirts so I would have to manage with a white long sleeve cotton T-shirt and my short sleeve Under Armor Houston Half-marathon finisher shirt. I awoke early on the 30th and was somewhat hesitant to commit to the hike. The high forecasted temps were a major concern, but I decided to go. At 8 am I parked my car in the basin parking lot, readied my gear, ate my customary 2 Pop Tarts and gulped a liter of water. My plan was to pack 5 liters of water to the ranch, then take on the 10 liters I had cached there and filter water at the Fresno Creek if necessary. I hit the Laguna Meadow trail at 8:05 am. My conditioning over the last 3 months was effective as my 30+ pound pack was of little hindrance and I passed 4-day hikers on the way up. I reached the Blue Creek trail at about 9:40 and stopped for some pictures. In the process I managed to fall on my side and was glad I missed the prickly pear cactus right next to my point of impact. A good trip for me is 2 falls so I figured it was time to use the new hiking poles my niece gave me. After a short distance down the Blue Creek trail I passed 5 hikers heading up the trail. None of the 4 males and one female stopped to talk and I continued on. I met the Japanese hiker I had seen the day before and we traded taking each other’s pictures. I couldn’t help notice he was hiking in a long sleeve flannel shirt. I reached the Wilson ranch at about 12:20 and left my pack in the building. I made a phone call at the parking area and carried my cache down to the ranch. After filling my bladders and bottles I ate lunch. By now it was after 1 pm and the temp was well into the 80’s. I decided to stay at the ranch where it was relatively cool and shady until the late afternoon and then head out on the Dodson. About 2:20 a solo hiker named Jeff appeared. 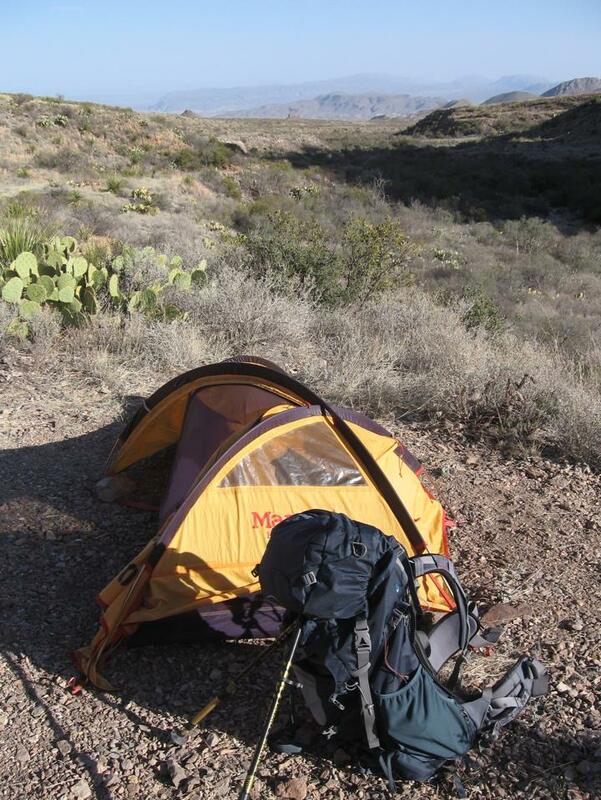 He was doing the OML clockwise and was going to spend the night near the ranch and then a night on the SW rim. We talked for over an hour and he was a great source of info as he remembered distances well. He inquired about wildlife and I had not seen any. Jeff warned me that by the Dodson ranch there was a large beehive and to avoid it. He also told me that Fresno was running. I bid farewell to Jeff at about 3:30 and head out on the Dodson. 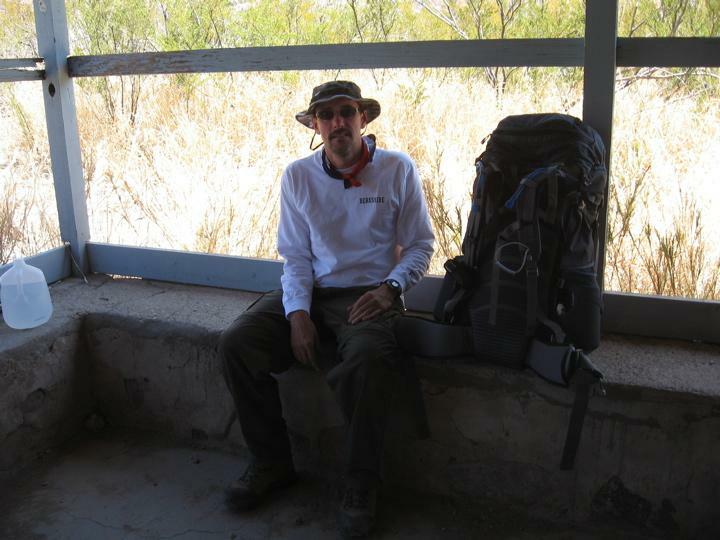 My pack contained 9 liters of water and I carried in my hand the remainder of a gallon of water (about 2 liters). It was unbelievably hot and by the time I reached the crest of the hill about 2 miles east of the Wilson ranch I was totally spent. I threw off my pack and tried to cool off. After about 15 minutes there a group of 3 westbound hikers stopped and we talked. It was about 5:30 and finally starting to cool off. We exchanged our information and set out in opposite directions. My goal was to camp at the first site I came to after 6pm. At about 6:10 I came to a suitable spot and set up the tent. Not totally sure where I was, I set out eastbound armed only with my headlamp to find my location. To my surprise, my camp was about 100 feet west of the Dodson/Smokey Creek intersection. 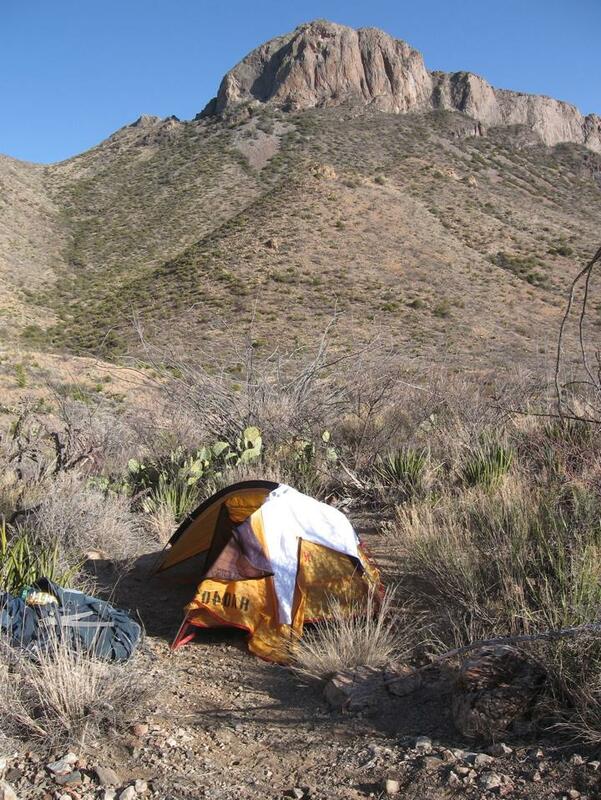 I sat on a rock next to my tent and went over backwards into a cactus. Fall number two and now an official hiking trip with souvenirs lodged in my shoulder. After dinner and an attempt to start reading “Slaughterhouse 5” I turned in only to get very little sleep. My sleeping bag was rated at +25 and I believe the overnight temp might have reached the upper 50’s. I was probably still a little overheated from the trek up from the ranch anyway. I broke camp around 6am on the 31st after a breakfast of a Cliff bar and some Fig Newtons. I neglected to inventory my water supplies but felt confident that I was in good shape. It was slow going hiking the Dodson with a headlamp, but the temperature was cool and I could put some miles behind me before sunrise. I was amazed at what looked like amber/green flashing lights on the trail. After a close inspection I realized the light was a reflection from my headlamp off of the eyes of some small spiders. By the intersection of the Elephant Tusk trail the sun was up in full force and my headlamp was packed away. Finally a decent view of the Chisos. 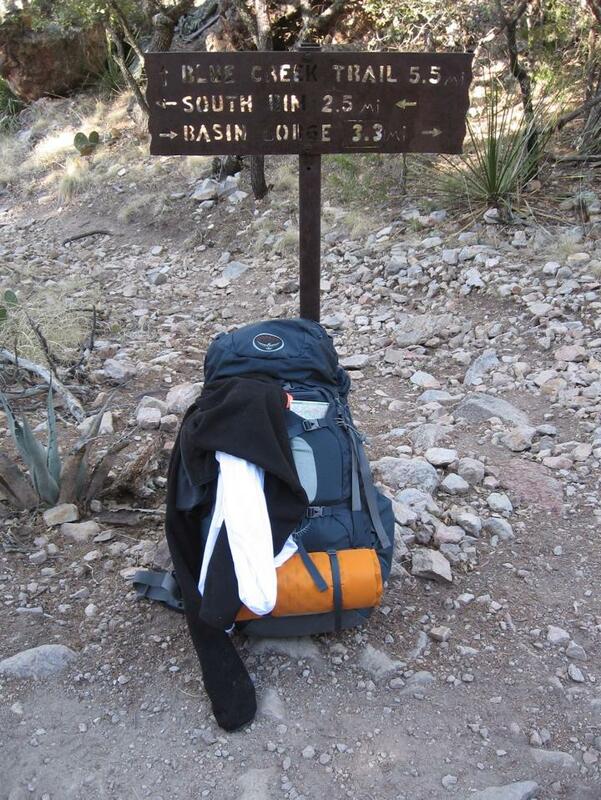 I elected to hike in the cotton long sleeve shirt and hung my Under Armor on the back of my pack. 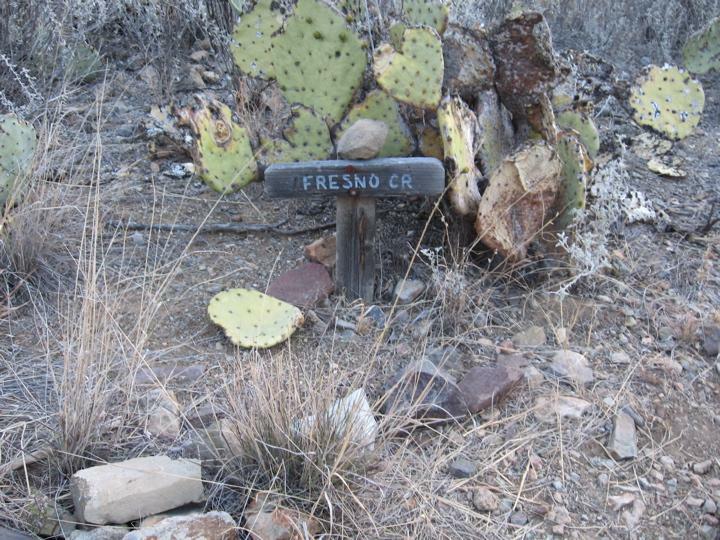 I reached Fresno Creek and dropped my pack. I was amazed that it was totally dry. I couldn’t believe it. Was Jeff wrong? Or had something dramatic happened. I headed downstream for about 100 yards and no water. Damn. I put my pack back on and continued eastbound. To my embarrassment I reached the real Fresno Creek with plenty of water after a short distance. For some reason I decided to continue my hike and not pump water. I totally neglected the fact that my urine production had been zero since breaking camp earlier that morning. On eastward I went. I heard the bees Jeff had mentioned the day before. 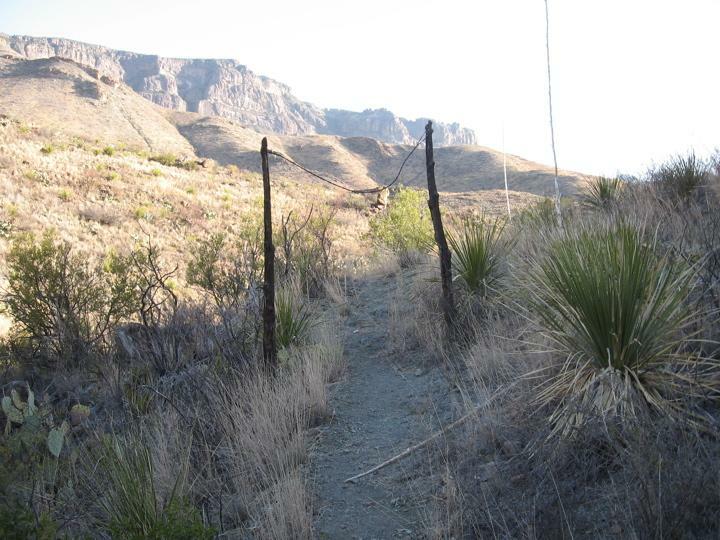 I was about 100 yards west of the small spur trail just east of the Dodson spring. I could see a bucket hanging from one of the trees and part of a wooden structure. Not brave enough to get a good view, I continued on eastward. About a mile from the intersection with the Juniper Canyon trail I had my first human contact since the three hikers the evening before. A man and woman coming opposite direction appeared. She immediately dropped her pack and sat down well before I got to them. I stopped and talked. They were from Houston and I noticed a bit of concern in their voices. I’m not sure what prompted me to ask, but she stated they were a little short of water due to a spill and wanted to know how far it was to the ranch. I stated about 9 miles. I offered a liter of water and they took only half. They also stated they had forgotten their water purifier. I couldn’t offer mine. We parted company and I was anxious to finish the remainder of the Dodson and then have lunch. Finally reaching the intersection of the Juniper and Dodson, I parked under a small bush and cooked lunch. The day had grown quite hot and it was headed for another 90+ day. I noticed that I did not have quite the water supply I thought I had but was not that concerned. After lunch I trudged up the Juniper Canyon trail enduring the blazing sun and hoping for shade, but none was to be found. Around 2:30 I stopped and made camp. My GPS claimed I was at 4600’ msl. Not wanting to go further due to the heat I set up camp. It was too hot to sit in the tent so I sat trying to minimize my exposure to the sun. I became concerned of my water situation as I was down to one 3-liter bladder, a half-liter of electrolyte solution and a half-liter of water in a Nalgene. Dinnertime came and I elected not to eat in due to being slightly dehydrated and having no appetite. My concern grew but I realized that I had printed out a post by TWWG on this site with the water sources on the OML. I read the paper and compared my position with my map. It looked like I was less than a mile and a half from the Upper Juniper spring, which I determined, was at about 5200’. I would stop by the next morning and no reason to panic yet. I dug through my first aid kit in search of some Ibuprophen for my sore foot and found water purification tabs. I then remembered putting them in there years ago for an insurance policy and felt guilty not realizing they were there to offer the people who were short of water. I also noticed that the UA shirt I had hung on the outside of my pack had come off. No one came by after setting up camp so it was another night of solo camping. I was thirsty all night and by morning was down to a little over 2 liters of water. The other liquids had been used up. I did manage to sleep about 5 hours, but it was a broken restless sleep. I packed up camp and got ready to hike by 5:45 but was noticeably shaky. I feasted on a GU packet and a Cliff Bar. I started uphill and my shaking subsided after about 30 minutes. Repeated checks of my GPS showed I was close to the Juniper Camp sign and the sun still was not up. I finally arrived at the sign and quickly threw off my pack. I grabbed a one-liter Nalgene and my purifier. Following TWWG’s directions I found the spring, which was still flowing. I filtered a liter and guzzled it. Then I filled the Nalgene again. I left the pump and went to get 2 more bottles and filled them. Victorious, I decided to celebrate with breakfast. I fired up the Jetboil and dug out some dehydrated eggs and bacon. While the water was heating up I read the directions and realized I would have to cook the breakfast in a skillet after rehydrating and not just add boiling water. Somewhat dejected I settled for chili for breakfast. The sun was up by the time I finished breakfast and armed with a full stomach and 5 liters of water I finished off the remainder of the uphill. The temps were noticeably cooler and there was a good breeze above 6500’. I reached the intersection of the Emory Peak/Pinnacles trail at about 11:15 and bummed some Ibuprophen off of some day hikers. They seemed quite amused by me hiking solo for 3 days. 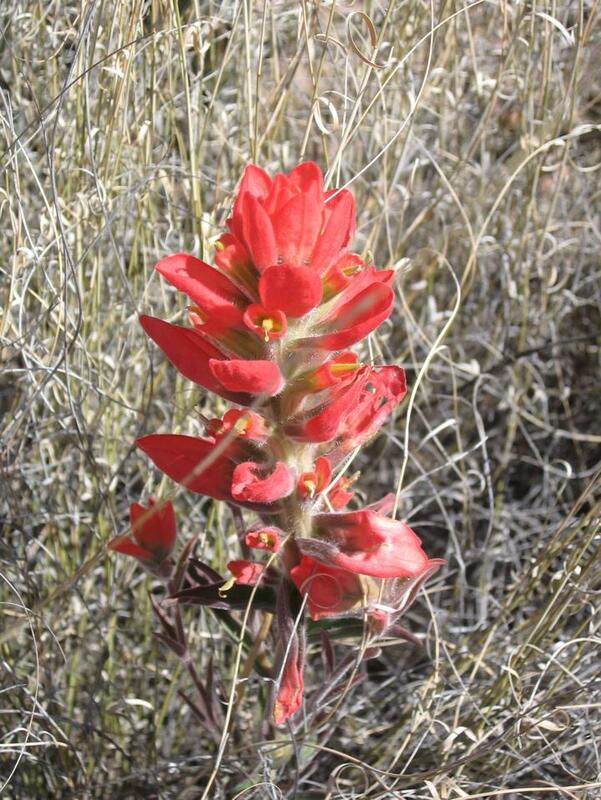 I realized I might be able to meet up with Jeff in the basin if I hurried so down the Pinnacles to the basin. I believe I reached the parking lot in front of the ranger station by about 12:30 craving chocolate milk and noticing that Jeff’s car was not in the parking lot. The rangers were out to lunch so I put my equipment in my car. Armed with cash, I hit the store and feasted on chocolate milk, string cheese and then some OJ. After finishing, a ranger appeared and I told him the tale of the two hikers who were short of water and added my water report for Fresno and Upper Juniper Spring. He said that the hikers had mentioned me and the ranger thanked me for giving them water. The two shed their packs shortly after talking to me and headed to the Wilson ranch. They stopped and drank unfiltered water at either Fresno or the Dodson spring and called for rescue after reaching the ranch. I’m not sure what time they reached the ranch, but to their good fortune that the parking lot by the ranch is one of the few places for good cell phone coverage in the park. I wondered if they found my shirt along the way? I met 4 hikers from the Austin area in the basin parking lot preparing to do the OML and gave them my printout of the water sources along the way. They thanked me. 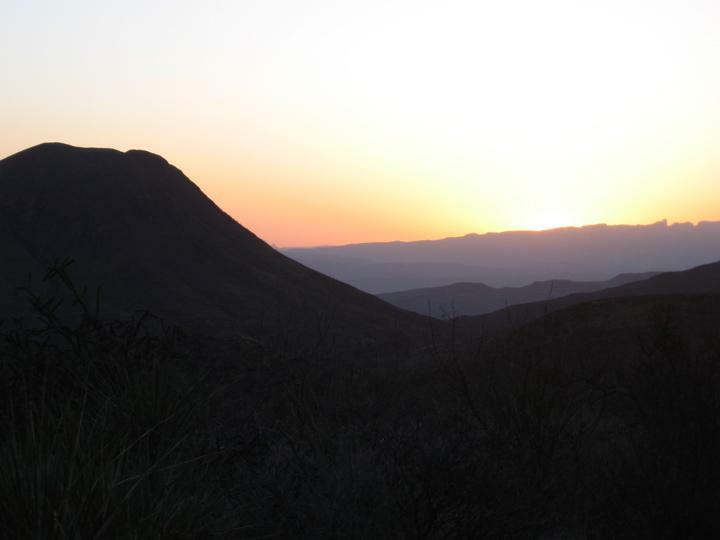 Off to Terlingua for dinner at the Starlight and a night in a motel. The following morning I headed off to Chiricahua with Bryce and Zion to follow. 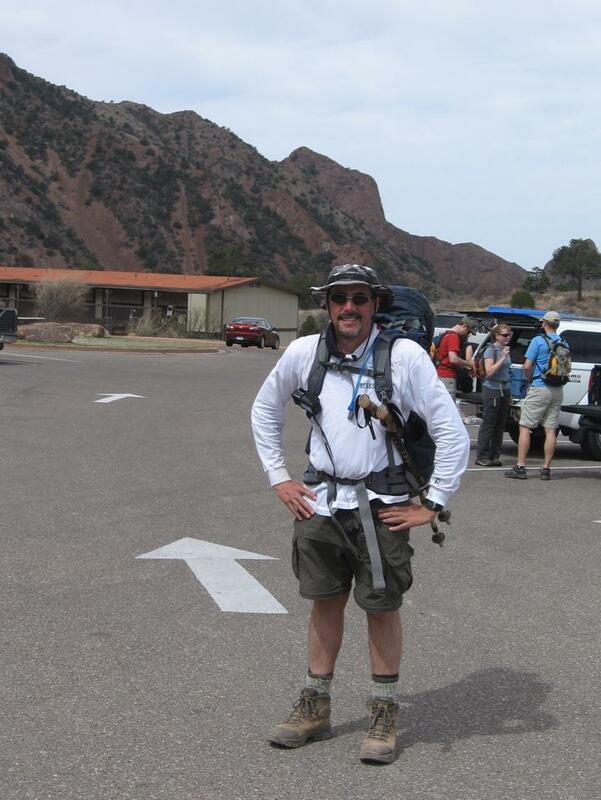 The OML was one of my most memorable and rewarding hikes. 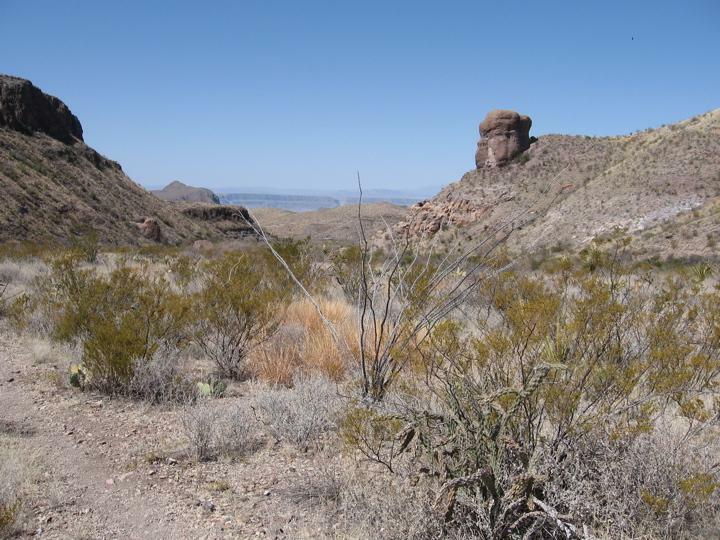 My mistakes were quite obvious, but I am happy that I did this hike armed with the right equipment, lots of research and the knowledge gained by reading bigbendchat. Thanks TWWG. Your post most valuable. Thanks to all of the others who post as your info helped as well. 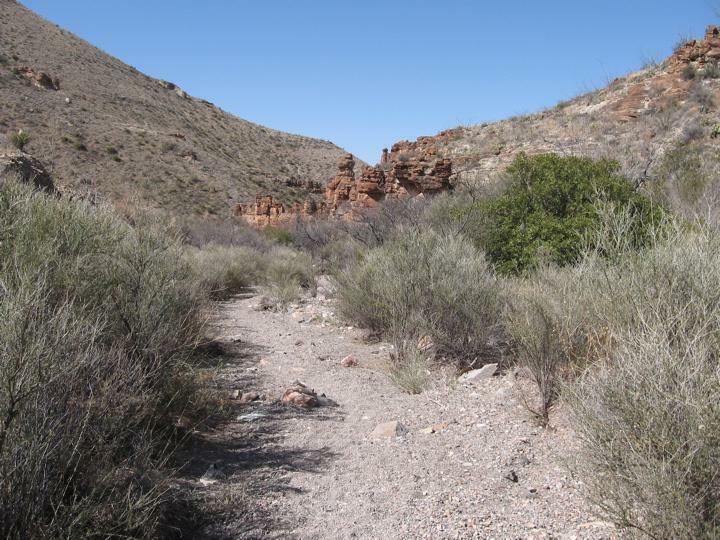 - Boot Canyon Tinajas - reliable but often algae choked, biggest tinajas are ~1/2 mile up from Juniper Canyon Junction. - Upper Juniper Springs - 90% reliable but often overlooked, when you get to the treeline in Juniper Canyon and see the metal sign saying Juniper Camp, take the short side trail and stay on the uphill side of any branches until you find the cement ruins, the small spring is located under a large boulder about 200 feet uphill, follow the muddy slope to it, clean the leaves out of the small rock bowl and enjoy. - Dodson Spring 95% reliable, follow the metal pipe ~30' up from the trail crossing to the spring, often muddy and small but you can get water there or just keep going to Fresno. - Fresno 100% reliable, best water is 200 yards downstream from the trail crossing in the slickrock canyon. - Smokey Creek - 80% reliable, small spring located ~15 minutes hike down the Smokey Creek Trail from the Dodson/Smokey junction. This spring is located almost immediately below the "3 Dog" campsite but there is a short cliff in between so go around on the main trail. -Blue Creek Homer Wilson Ranch, has a big bear box that you can cache water in, you should put your name and the date you intend to retrieve the water on your bottles/cache. Volunteers collect trash and unclaimed items out of the bear box and check for unclaimed water. In the past things might sit in there for months but now they seem to check it regularly. If you do make the OML please post a trip report or water information. Thanks for posting your trip report! Glad to hear you were able to find water per TWWG's info. I'm surprised that couple headed out on the OML knowing that they didn't have any water purification available. 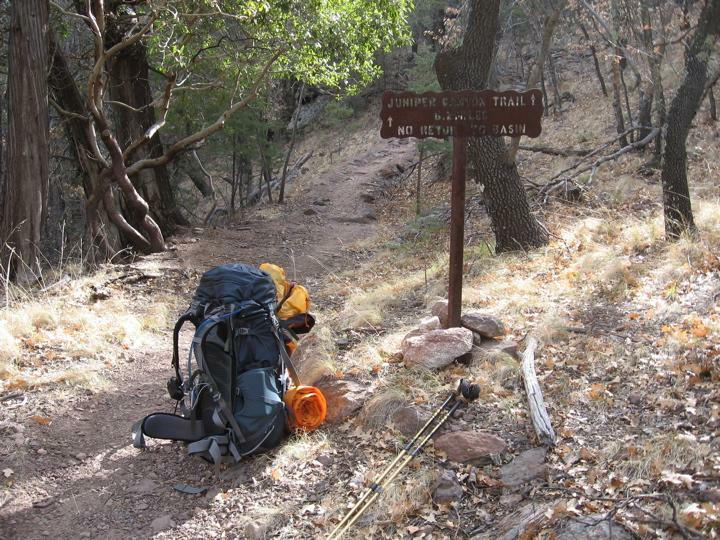 I always print out a check list and double check each item going into my pack before hitting the trailhead. I really don't think the OML would be any easier going clockwise or counter-clockwise. I think clockwise might be slightly easier as you can space out your water resupply using Homer Wilson ranch on the way back up Blue Creek. I only cached 1 gallon at HWR, which added to the 3 liters I had left, gave me just enough to make it up Blue Creek, spending my last night in Laguna Meadows, then a short 2 hour hike back into the basin the following day. Glad you made it around without running out of water. People really need to learn to take the middle of the day off when it is that hot and hike early and late. I still think the climb up Juniper is much better than Blue Creek and cooler in the afternoon. Although I was smart enough to take a good part of the first day off at the Wilson ranch, I feel my big mistake was not topping off at Fresno Creek. I could have fully rehydrated there and left there with 7-8 liters of water. I would have to say one gallon per person per day was totally insufficient and could have easily used over 2 gallons on day 2 alone. I didn't really mind the uphill part of Juniper Canyon as I am in good shape. At least the footing seemed better than the Blue Creek Trail. I'd love to do it again but not sure which direction I would go. Might be decided by a coin toss. Really enjoyed your report and am impressed with your recall of small details, an area in which I'm sorely lacking. How were your other stops on the journey? I did a lot of backpacking in GSMNP years ago, and some long day hikes in Yosemite, but for me the OML is far and away my favorite hike. I never tire of reading others' reports of it and yours is another very good one. This was a great report that should be a mandatory read for all first timers on the OML. Sounds like the two you met who ran low on water were ill prepared for this hike. Its no wonder the park asks all kinds of questions when getting a permit. I'm still trying to figure out what they needed to be rescued from. It is easy to see how people can get into trouble on this hike. Even when you have done your research it is still possible to miss a turn or walk by a water source (or even forget to fill up when you need to). This recap also reinforces what others have said about the dangers of hiking this trail in late spring and summer. If my memory serves me correct, the two I met toward the east end of the Dodson did not realize they were without their purifier until they were out on the trail! I'm sure they reached the Wilson ranch very late and in spite of then being in possession of their water they were without their tent, bags, food etc and felt compelled to call for help. Pretty unbelievable to me that they forgot the purifier but then again I didn't feel it necessary to play it safe and tank up at Fresno. The ranger I talked to in the basin did tell me that the previous two days had been full of rescues including one on the window trail!!! The rest of the trip was great. I day hiked and tailgate camped. No stress and no effort! 13 degrees at Bryce one morning. Zion rules and Chiricahua was most excellent. Also visited Kodachrome SP and Snow canyon. Both beautiful. This has to be on the short list of best trip reports of 2010, so far. P.S. Despite the extreme lack of pictures. Thanks and I'll try to get some picture on soon. Great report. Feel free to post trip reports and pics in the Non-BIBE Trip Reports forum as well. 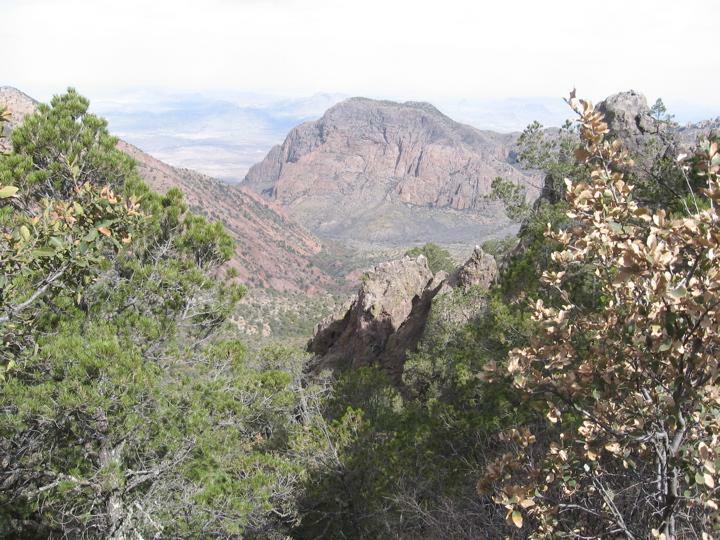 GREAT report, really interested in Chiricahua National Monument. Dodson Trail just east of the Wilson Ranch. 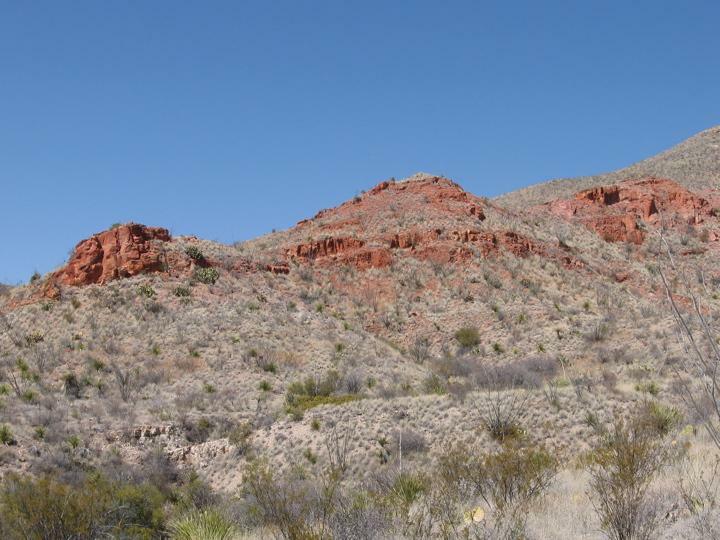 View from the crest of the hill about 2.5 miles east of the Wilson ranch on the Dodson. Campsite 3/30/10. About 100 yards west of the Smokey Creek trail intersection. Sunrise on the Dodson near the Elephant Tusk Trail. The gate to hell. No shade after this point. Campsite night 2. Juniper canyon trail about 4600' msl. Finally off the Juniper canyon trail. The basin from the top of the Pinnacles trail. 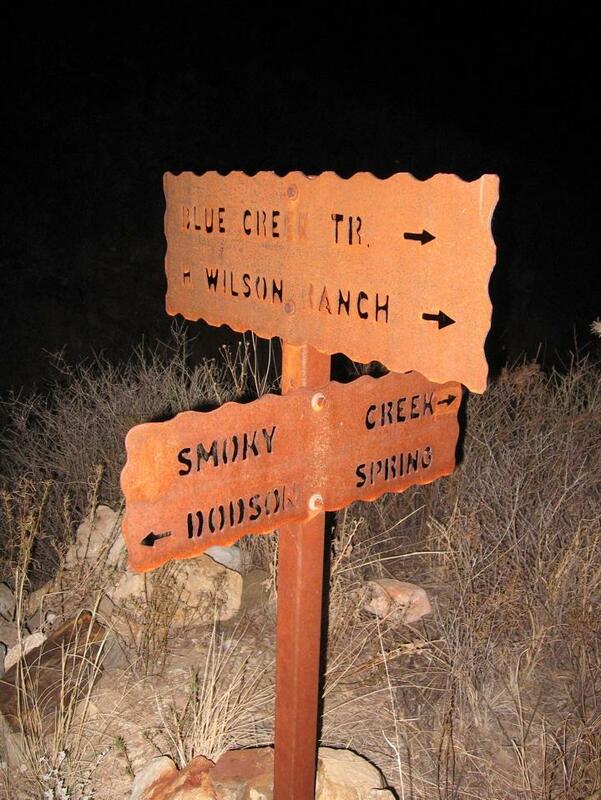 Your Juniper Canyon 4600' and Dodson near Smoky Creek campsites were exactly the same ones I used when I hiked the OML. Thanks for the pictures, it really does tie a good trip report together. A shot of the Juniper Camp sign or the path to Upper Juniper spring would be great for those who have trouble finding it. I totally agree with Robert on this. When I said folks need to learn to take the middle of the day off when it is hot I really meant to say the heat of the afternoon. 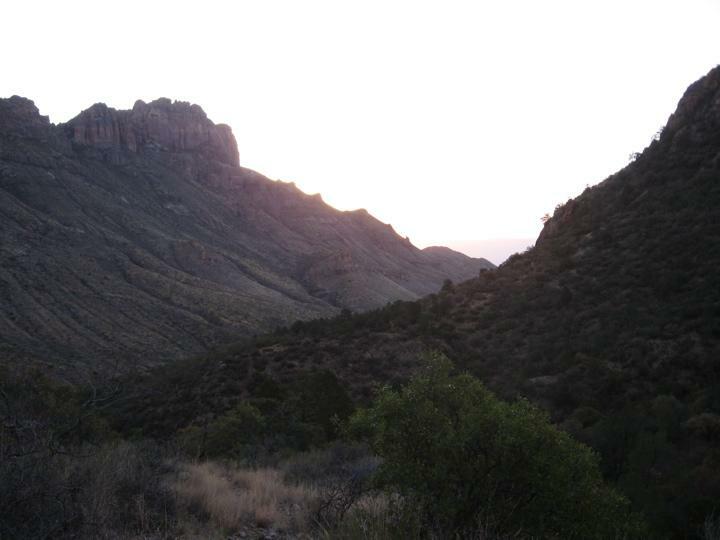 Start hiking at first light, like Hiker79 did, and then quit about 12:00 or 1:00 at the latest, finding or making some shade. Hang out, read, nap, eat dinner just before you start hiking again about 5:00 or so. 2-3 more hours of walking until dark and then camp, have a snack and maybe a hot drink if you want. The hottest part of the day is 2-3:00 in the afternoon, no reason to walk then and your water will go farther. Yep, one gallon a day is maybe sufficient when it's in the 70's but in the 90's+ and you are walking in the heat of the day, two gallons may not even be enough.